Southern charm meets urban chic in America’s fourth-largest city, and The Whitehall is your local connection to all of Houston's best offerings. Whether business or pleasure brings you to the Bayou City, you’ll find Houston’s vibrant cultural scene, can’t-miss attractions and live sports venues just minutes from our door. Don’t feel like walking? No problem, we’ll happily shuttle you to your downtown-area destination seven days a week, from 7 am to 10:45 pm. 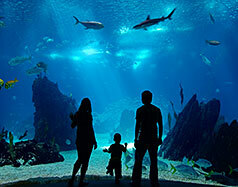 Explore underwater life at Houston's Downtown Aquarium. 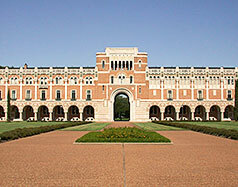 Visit the campus of top universities such as the University of Houston and Rice. Sports fans can catch the Houston Astros in action at Minute Maid Park, while The Galleria in Uptown Houston is a retail-lover’s utopia. From watching top headliners at Toyota Center to the fine dining and entertainment at Bayou Place, Houston is a cosmopolitan city with something for everyone and your Sotherly Host at The Whitehall is your guide to it all. 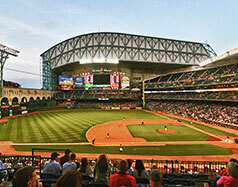 Home of the Houston Astros and located just minutes from the hotel, Minute Maid Park is one of the most technologically advanced stadiums in the US. Its innovative design includes a retractable roof and glass ceiling that offer up spectacular views of the Houston skyline; while the natural grass surface and classic architecture are reminiscent of the great parks popular during baseball's Golden age. 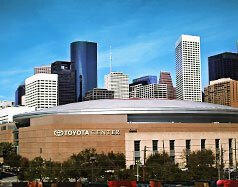 Since opening in October 2003, Toyota Center has set a new standard for sports and entertainment, becoming one of the premier live entertainment venues in the nation. Encompassing six city blocks, this dynamic arena is not only home to the NBA’s Houston Rockets, but also regularly hosts the nation’s top concerts and touring shows. 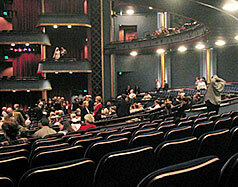 The Houston Theatre District boasts the second highest number of theater seats in any city in the US, second only to New York City. Known as the cultural hub of Downtown Houston, this district is home to an impressive number of performing arts venues, including the Wortham Theater Center, Alley Theater, Jones Hall, the Hobby Center for the Performing Arts, and Bayou Place – which is home to several nightclubs, dining spots and the Revention Music Center (Bayou Music Theaters). Located in the heart of Houston's Museum District, the MFAH, as it’s affectionately called, is a beacon of artistic inspiration with more than 65,000 works from around the globe, ranging from antiquity to present day. This dynamic cultural complex showcases both permanent and touring exhibitions, and also boasts two gallery buildings, the Cullen Sculpture Garden, library, a movie theater, gift shop, café, two art schools, and two house museums. 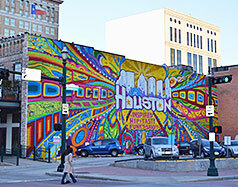 The Washington Avenue Arts District is a state recognized cultural district in Houston. Already the District is home to several converted warehouses that house over 300 studios of artists and creative entrepreneurs, as well as vast exhibition and event space. Because of this unique congregation of creative space, the District boasts what is believed to be the highest concentration of working artists in the United States! This magnificent 500,000-gallon aquarium allows guests to get a close up view of over 200 species of aquatic life from around the globe. Explore an array of colorful exhibits that display life under the sea in its numerous forms, ranging from the Louisiana Swamp to the Rainforests of South America. The Houston Aquarium is also home to a group of rare white tigers. 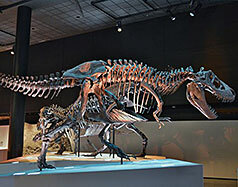 Located in Hermann Park, The Houston Museum of Natural Science is one of the most popular museums in the United States. Explore four fun-filled floors of science exhibits that examine everything from astronomy and paleontology to gems and native Texas wildlife. 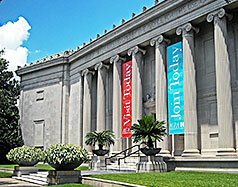 The museum also features a planetarium, Butterfly Center, and an IMAX Theater. Set amidst stunning glass atriums, The Galleria in Uptown Houston is known throughout the world as a top luxury shopping destination. This upscale Houston shopping center draws boasts 400 shops and restaurants, ranging from high-end department stores (Macy’s and Nordstrom) to designer names like Gucci, Louis Vuitton, and Cartier. You’ll also find seven beauty salons, a children’s play area and a full-size ice rink! 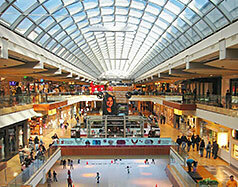 This shopping, dining and entertainment mecca has something for everyone. 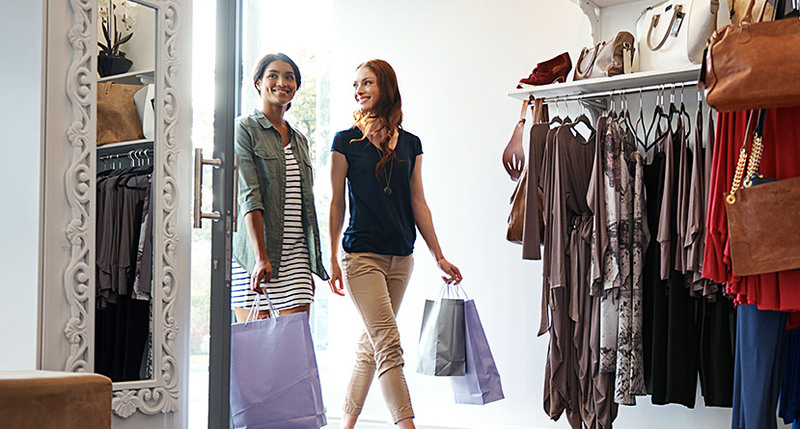 Find the latest fashions at BCBGMaxazria and Forever 21. Enjoy a great meal at McCormick & Schmick’s Seafood or III Forks Steakhouse, and then challenge the family to a friendly bowling game at Lucky Strike. Want someone else to entertain you for a while? Swing by the House of Blues or Pete’s Dueling Piano Bar. 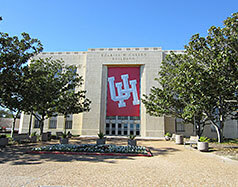 Founded in 1927, the University of Houston is the leading public research university in the city and boasts highly regarded undergraduate and graduate programs along with 16 intercollegiate sports teams. Show your Cougar Pride by attending a football game at TDECU Stadium or get inspired with a visit to the Blaffer Art Museum (admission is free!). Situated in the heart of Houston, Rice University is one of the most highly regarded private universities in the country. Known for its outstanding academic programs, advanced research institutes, and stellar authentic teams, Rice’s rich legacy and beautiful 285-acre campus have made it a Houston landmark.